Iran has come out today with news of a new missile. From PressTV, Ghader anti-ship missile was mass-produced and delivered to the Iranian Navy. There is an associated video at the link. Ghader missile, an anti-ship cruise missile equipped with technology that makes it undetectable by the best radars. Ghader missile was mass produced and delivered to the both naval forces of Iran, Islamic Revolution Guard Corp (IRGC) and the Military by Iran's Ministry of Defense on Wednesday. The missile has been designed, constructed and mass produced by Iranian experts and engineers to be used against large battleships and aircraft carriers. Iran's President first inaugurated Ghader missile late August of this year. Western media was very skeptical of the event. Ghader missile can be fired from air, ground and the ship. . It is equipped with digital auto-pilot, anti-jamming radar technology and is programmable. Ghader can detect and find its target in the sea in low altitudes and sink them. Iran's high ranking military officials say that production of such weapons is exclusive and that Iran is the only country with such capabilities. High ranking naval officials talked of the destructive power of Gahder missile. This is old wine in a new bottle. The Ghader missile is basically a slightly upgraded Noor missile with an extra 20km range. The Noor missile is an Iranian produced export clone of the Chinese C-802 which uses an inertial and terminal active radar for guidance. The C-802 is a relatively inexpensive Chinese missile design that leverages low cost simplicity, which makes it ideal for Iran whose defensive maritime strategy is primarily intended to be asymmetrical leveraging large quantities of inexpensive equipment for saturation, leveraging mobility and portability for survivability, and is intended to mix just enough stealth precision with mass distraction. The C-802 is best known as the weapon used by Hezbollah to sink an Egyptian merchant ship in the Mediterranean Sea and slightly damage the low RCS Israeli corvette INS Hanit. As we have discussed before, the C-802 radar guidance is questionable, so it could be that one aspect of the Ghader missile is improved active radar during the terminal phase. In the case of the INS Hanit, the radar focused in and struck the deployed crane that was left extended over the flight deck - basically the only part of the little corvette that wasn't stealthy - and because the C-802 warhead is a 165 kg time-delayed semi-armor-piercing, high-explosive warhead - most of the explosion on the corvette went out over the sea. The fuel from the missile caused quite a bit of damage on and below the flight deck, but for the most part the ship took very little damage relative to the attack, which is why it was back to sea conducting operations before that conflict was over. The video shows several Ghader missiles have been produced which raises the question, what is the delivery vehicle for this "mass-produced" missile? My theory is we will see these on a new class of PCMs soon, because for years now it has been my impression that Iran's military production has been geared towards a Streetfighter style defensive maritime strategy. 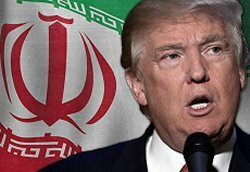 Previous News : Was Iran behind 9/11?